Welcome to the Panyaden International School homepage, where we teach our students that life is richer and deeper than working to only consume. 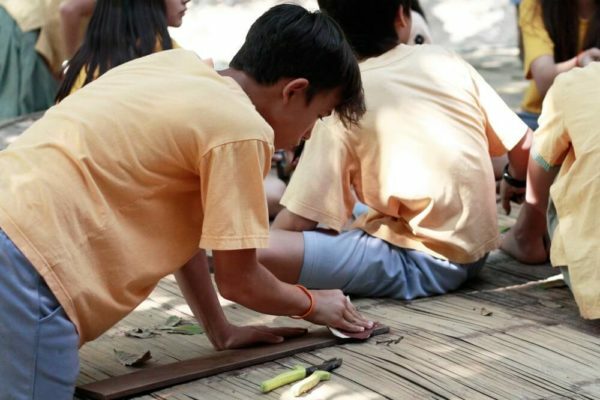 We are proud to offer a holistic approach to education in Thailand, incorporating both the British curriculum and Buddhist principles to offer a well-rounded education at our International school in Chiang Mai. 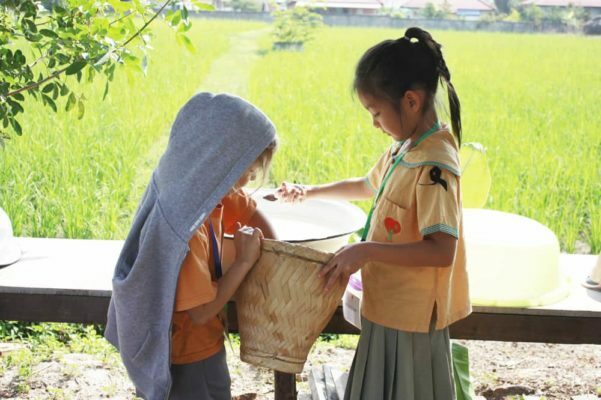 We cater for preschool and kindergarten children, up to the level of a primary school in Thailand. Our international kindergarten and elementary school values the benefits of a bilingual education, which is why all our classes are taught in English and Thai, 50/50. Our International kindergarten and elementary school in Chiang Mai, is situated in the cultural heart of Northern Thailand. 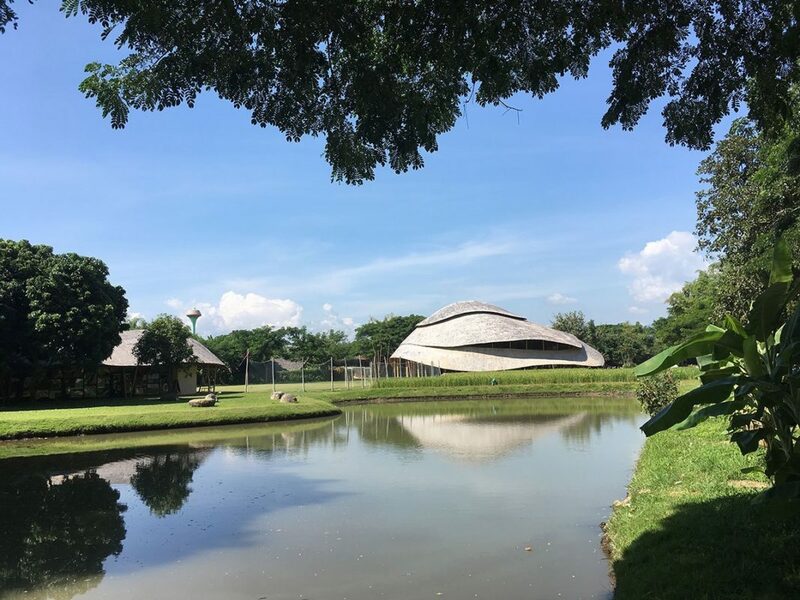 We are proud of our unique looking campus that is built with earth and bamboo, creating an eco-friendly and sustainable environment among the surrounding rice fields, and only a 15-minute drive from Chiang Mai city centre. We wholeheartedly believe that we are one of the best International schools Thailand has to offer. The facilities of our nursery and primary school in Thailand are second to none, and a quick look at our campus will enforce our claims. We have crafted a design concept that embraces nature, and provides a peaceful and pleasant atmosphere for students to learn in. 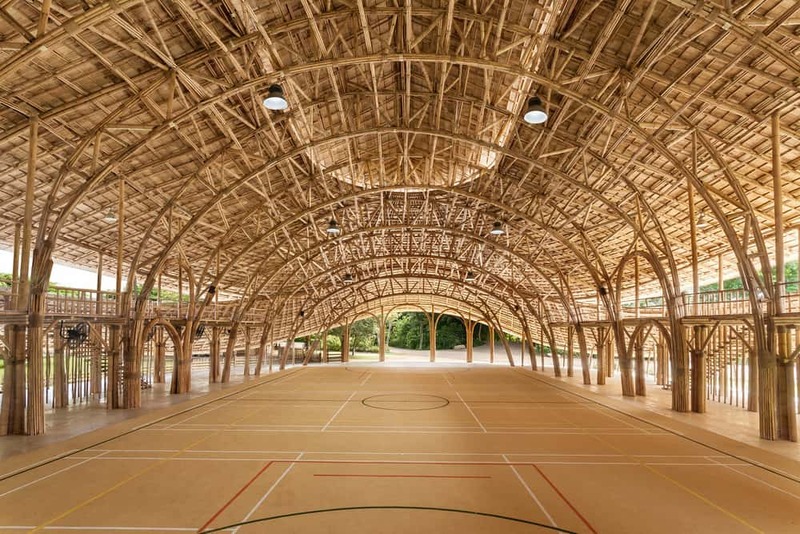 The distinctive buildings made from earth and bamboo, mimic the antler-fern leaf, and provide cool and well-ventilated classrooms for all students. 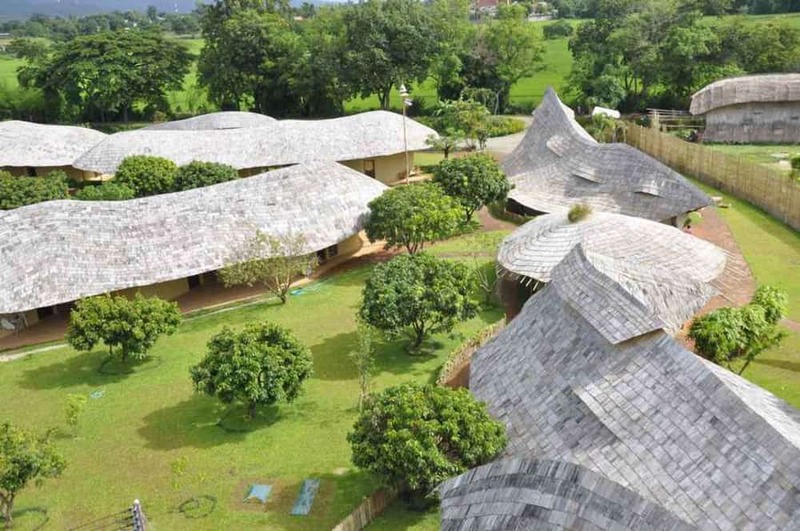 Our Eco School concept is unique, and you will struggle to find a similar design and layout of any other International school in Chiang Mai, or the rest of Thailand. You can see more of our school campus by clicking here and look at the best school in Thailand. Here at Panyaden we aspire to provide green primary school facilities that go hand in hand with the core principles that we teach all our students. We teach out students to aspire to live an environmentally mindful life, reducing our carbon footprint wherever we can. Due to the design of our campus, we not only incorporated environmentally friendly materials into the design, but because of this we have no need for air conditioning, as all the facilities are cool and well ventilated naturally. As a result, we are most likely the most environmentally green school Thailand has to offer students. Our environmentally green school teaches our students how to live a balanced life and embrace our natural surroundings. We get our students to embrace nature and let them get their hands dirty, while cultivating an interest in learning about their environment and what they can do to protect it. We take a hands-on approach to teaching practical knowledge and skills, giving the children the grounding that they need to start a fruitful and rewarding academic career. We believe that this helps us to be one of the best schools in Chiang Mai , offering a diverse and grounded approach to education. 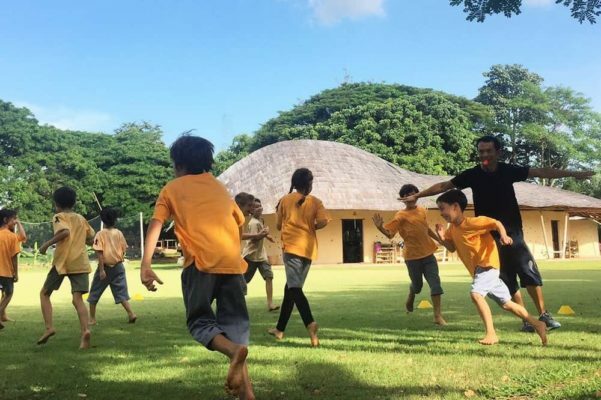 As we are a green school in Chiang Mai , our environment is designed to encourage walking barefoot, and children are taught to be in harmony with nature, rather than exploit it. We encourage our students to embrace the elements and not be afraid of getting dirty while getting close to nature. The simple but effective design of our campus requires low maintenance, and gets rid of over reliance on technology, that is not necessarily beneficial. We get our students to help planning our rice and vegetable plots, which we grow without the use of pesticides or chemical fertilisers. We encourage our students to reuse and recycle, wherever possible, giving them skills and an attitude that they will take into their adult lives, helping society to become more eco-friendly and environmentally conscious. What Makes Us One of the Best Chiang Mai International Schools? We believe that it is a mixture of things that makes Panyaden International School in Chiang Mai the perfect environment to nurture your child’s mind. We enjoy an awe-inspiring location, which is unique at one with nature. We also provide a strong curriculum for our students to learn, promoting critical thinking. We combine this with Buddhist principles to give our students a well rounded and high-quality standard of education that is not found anywhere else. Along with having some of the best Thai and foreign teachers at our school, we believe that all these factors make Panyaden the best place to educate your children. At Panyaden International School, some consider us to be an alternative school, but our aim is to be able to cultivate a way of life, as well as an academic education. We embrace the Buddhist culture and values and use these as the basis to build solid foundation on which our students can prosper and thrive. Our vision is to nurture the moral, emotional, physical, and intellectual needs of our students, using a holistic approach creating a home away from home. We want to create an environment that supports a holistic curriculum, making Panyaden one of the top holistic education schools in Thailand. To be able to do this it is imperative that the school works closely with all parent, which also help to establish a feeling of community, and belonging. There are many benefits to international education, and these have been extensively documented over the years. However, there is concern that attending an international school could mean the erosion of the Thai culture and language. While the Thai families who send their children to school at Panyaden want to preserve the local culture, the foreign families want to experience genuine Thai culture and immerse themselves in their new lives. Our school offers an English education in Thailand, while still preserving the Thai language and culture, providing the best of both worlds. We promote Thai manners and traditions, exploring local wisdom and practices, and embracing local crafts and customs. It is widely accepted that speaking more than one language is an excellent foundation for education in a child’s formative years. Having a living experience of being in a multi-cultural environment teaches tolerance, problem-solving skills, and adaptability that will give your child the best possible start in life. At Panyaden, alongside the British curriculum, we also promote the Thai language and culture programme, which enables students to receive an international education that does not forego an understanding and appreciation of local history, community, and tradition. If you are looking for an English education in Thailand for your child that offers a holistic curriculum, contact us and we will be happy to talk to you about the needs of your child, or children. Choosing the best international school in Thailand for your child is essential to give them the foundations to become a productive member of society. What Does Our Nursery and International Kindergarten School Curriculums Look Like? 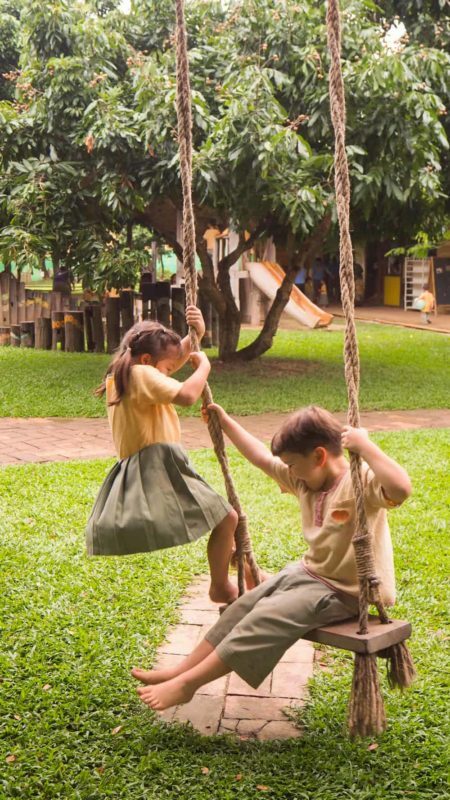 When you look for a nursery school or kindergarten school in Chiang Mai, or the rest of Thailand, it is essential to look at the curriculum used to give your child the best grounding possible. Our international kindergarten aims to give your child the foundation that they need to create a love of learning and allow them to embrace their curiosity and inquisitive nature. All our classes enjoy having 3 persons: 1 native English-speaking teacher, 1 Thai teacher with 1 assistant. The lead role is alternated between the two teachers, with them each taking turns in leading the teaching activities in their native language. At our international kindergarten in Chiang Mai, we combine storytelling, games, singing, along with key communication skills to prepare our students for reading and writing bilingually in both Thai and English when they progress to primary school. What Does Our Elementary School Curriculum Look Like? When looking at the different schools in Chiang Mai it is important that you choose a school that your child will thrive in, and where they will learn the academic skills necessary to become a success and prosper in their life. Each class in our primary school, Chiang Mai, will benefit from both a Thai and native English speaker teaching the classes. The lead role is alternated between these teachers in subjects such as Science, Social Studies, History, Geography, and Design and Technology, to ensure that the students are exposed to an even mix of both the Thai and English language. Maths is a subject that is taught solely in English, while Art and Physical Education are taught exclusively in Thai. We expect that students following this structure at our bilingual school in Thailand, will become proficient in both languages, allowing them to become fully bilingual. At Panyaden we also follow the International Primary Curriculum (IPC) which allows us to deliver the principles and objectives that are set out in the British curriculum. The IPC is the preferred choice of over 1,800 national, and international schools in over 90 countries around the world. The structure gives students a firm foundation in preparation for IGCSE, A Levels, and the IB Diploma. We think that Panyaden is the best-looking Chiang Mai International school, but you do not have to just take our word for it. You can look at all the amazing pictures in our gallery, but we also have lots of quality videos below that show off our campus and highlight some of the events that take place throughout the academic year.